Headquartered in Ft Lauderdale, Florida with satellite offices in Pensacola, Florida and Beijing, China (Adache-Icon) along with strategic alliances in several states and countries, the Adache team, and their international network, is proud of its past accomplishments resulting in hundreds of projects consisting of tens of thousands of hotel, resort, and multi-family residential units, and is recognized world-wide for their creativity, functionalism, energy efficiency, and quality service. The company has continuously been able to perform at a high and consistent level for nearly fifty years because of its structure, high demands, exceptional staff and top-notch management. Successful architecture requires the highest level of expertise and professionalism. While every project and program is unique, the strategies and principles of the design process remains constant at Adache Group Architects. The Adache firm is structured with an average length of experience of over 20 years per professional; and is integrated into creative and technical teams for providing comprehensive professional services. 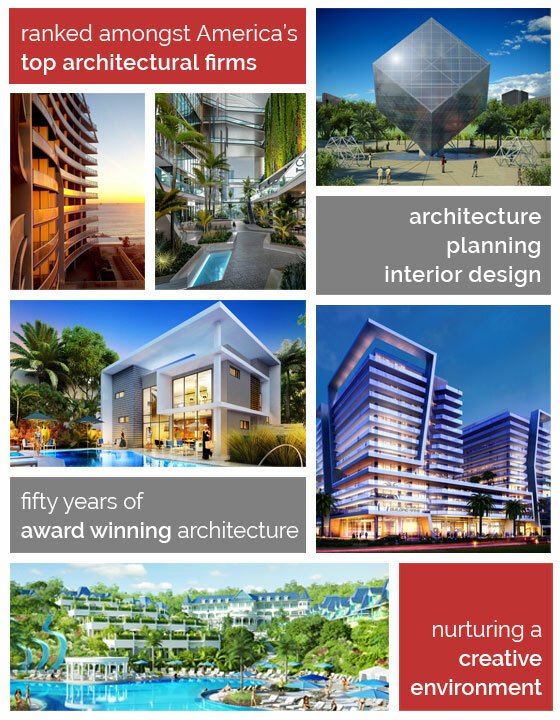 Adache Group Architects has had an international reputation, for nearly 50 years, as a leading International architectural firm, having clients, projects, and strategic alliances in over 45 countries and on 5 continents. Now through the implementation of the Adache-Icon LLC partnership, the group has expanded and further positioned itself with permanent facilities on America’s west coast, the Middle East, Asia, and the Pacific Rim; and is capable of working in almost any language and in any environment producing various building types of award winning ethnic architecture. Adache-Icon brings, in addition to Adache Group Architects, Leisure Quest International of Los Angeles whose principals have produced world renown structures and theme parks worldwide. Comprehensive master planning is the analysis, creativity, and execution of the functionalism of some or all of the following ingredients: Site Selection, Site Analysis, Land Use, Master Planning, Site Planning, Programming, and Entitlements. The relationship between the harmony of the positive and negative space of a site, along with the expectations concerning the function of the property is the prerequisite for a successful architectural project. How a building is proportioned and enhanced by landscape, and how it functions with the pedestrian, vehicular, and aesthetic components are also necessary requirements of the planning process. Adache is not only conscious of these factors, but make it a mandatory checklist of the design and planning process. Architecture without the realization of the surrounding environments beyond the footprint of the building or beyond the boundaries of the site, are recipes for potential failures. Adache Group realizes that successful projects are a result of the cohesive relationships of planning and architecture. Adache Interiors is redefining the meaning of interior design, resulting in iconic and timeless Interior Architecture that proves to be imaginative and functional. The Adache interiors team has a diverse pool of talent that are experts in finding solutions and meeting the growing technical demands while fostering memorable places and meaningful experiences. Adache’s artistic idealism has always believed that there is a thin line between architecture and interior design. That’s why the firm has integrated those services decades ago so that the design theme and creative philosophy would harmonize the project environment from inside space to exterior form. Adache Group has been considered to be one of the country’s leading interior design firms. Having been published in several magazines, Adache’s interior division has been listed as “Who’s Who” in Hotel Design and “Design Giants” in Interior Design Magazine, and recipient of several design awards. Adache’s interior team of accomplished designers provides complete design services ranging from concepts to space planning, through construction documents to procurement. Decades of experience and volumes of work have given Adache tremendous purchasing power, and their overseas connections provide very competitive prices. Sustainability and energy efficiency is a primary focus at Adache Group. Their LEED (Leadership in Energy and Environmental Design) Accredited Professionals are proficient in their “green” planning and design. Their buildings and projects encompass and promote sustainable sites, water efficiency, clean energy and atmosphere, sustainable material and resources, and indoor environmental quality. Adache Group designed the Sandpearl Resort in Clearwater Beach Florida which was awarded Florida’s first LEED Green Building Certification for a resort hotel; and continues to carry out the LEED philosophy. Adache Group is so dedicated to energy efficiency in their building design and retrofitting existing buildings, they operate their own subsidiary energy management company, Energy Retrofit Group, Inc.
Adache Group is known for their thematic architecture and their varying styles of design. Adache’s versatility of design approach and the firm's ability to work in the foreign environments is reflected in the success of its many international projects in the various exciting themes whether Contemporary, Victorian, British Colonial, Spanish, Dutch or Colonial French, many of which are pictured in our portfolio. The ultimate decision for appropriate design style is influenced by the client’s preference, site location, climate, building function and use.